I had organized a one-day workshop based on my book i want 2 do project. tell me wat 2 do at reserved-bit, Pune on Saturday, June 3, 2017. 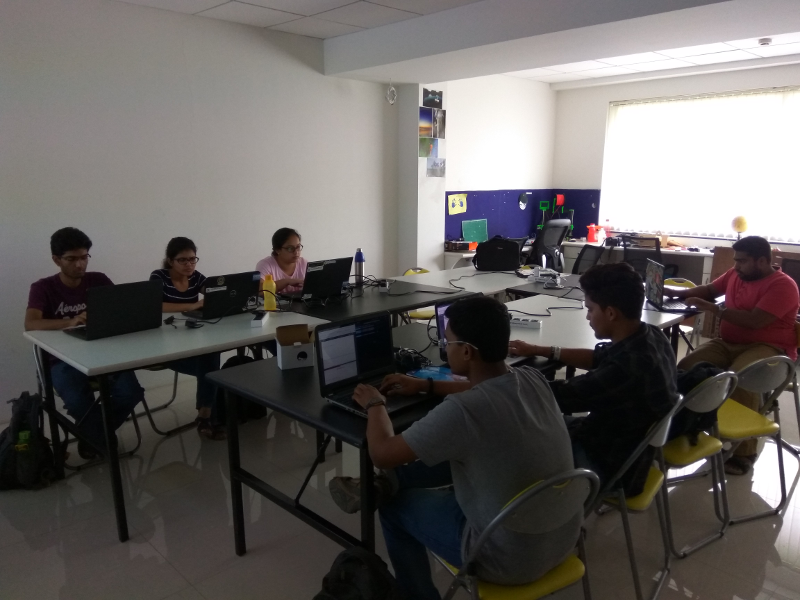 Thanks to Nisha Poyarekar and Siddhesh Poyarekar for providing their makerspace as venue for the workshop. The objective of the workshop is to share the methodology and best practices on working with Free and Open Source Software projects, and also to guide the participants on career options. Although there is plenty of free documentation (including my own) available on the subject, some people prefer a formal, systematic approach to learning in a private coaching environment. Hence, this workshop is tailored for the same and is made a paid workshop, similar to personal tutoring. If you are interested in attending such a workshop, do write to me: author at shakthimaan dot com.